LAS VEGAS -- Authorities say one person is dead and dozens more injured after a car ran into pedestrians Sunday night on the Las Vegas Strip, then left the scene. Authorities said the driver, a female, was caught, and added that they feel the act was intentional, though terrorism has been ruled out. The suspect was and tested for alcohol and controlled substances. Lt. Peter Boffelli says the vehicle was in the northbound lanes of Las Vegas Boulevard near Bellagio Way when the vehicle drove up onto the sideway in front of the Paris Hotel & Casino and struck pedestrians, including 37 people who were taken to the hospital. One person was killed, seven were in critical condition, 26 injured and four were treated and released. "This is a huge tragedy that has happened on our Strip," Boffelli says. Clark County Fire Chief Greg Cassell says the call for help came in at 6:38 p.m. and 70 emergency crew workers were sent to the scene. The 2015 Miss Universe competition was held inside the Planet Hollywood hotel-casino on the Las Vegas Strip on Sunday night. A witness tells CBS affiliate KLNS she saw a female driver hit numerous people, including children. She said some men tried to stop the car but couldn't. 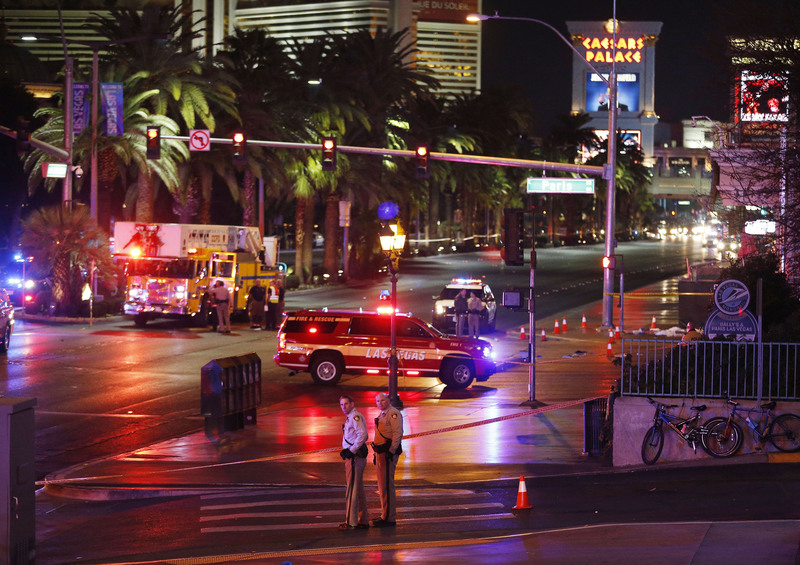 The Strip was closed to traffic in both directions from Harmon Avenue to Flamingo Road. Nevada Gov. Brian Sandoval issued a statement saying in part, "The state stands ready to help and will provide any assistance needed to ensure the safety of our visitors and residents."